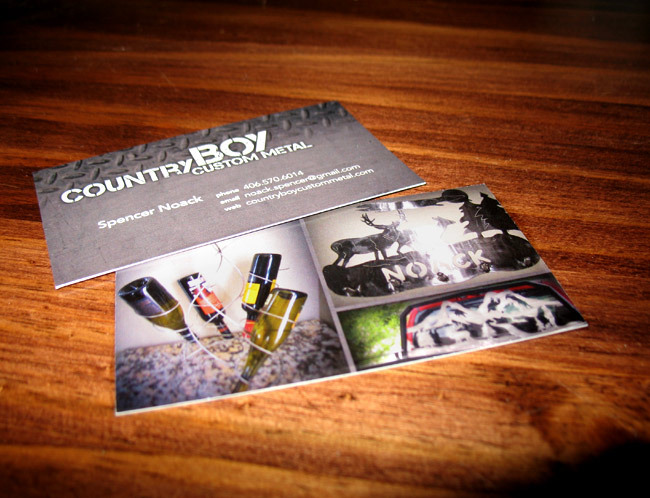 This creative metal fabrication company needed business cards to hand out to their clientele. The metal textures showcase the metallic part of their craft, and the images help to showcase some of their best work. The business cards match the website and work well to create a lasting impression with new customers.